The theme, “Pursuing the greater good: P2 for a changing world” has already inspired donations of baskets of goodies illustrating what makes our world good for the unique communities near and far that our contributors hail from. Your donation could be related to the conference theme or anything at all. Having a variety of items for conference attendees to bid on will help make the conference more fun and the fundraiser more of a success. Perhaps your company would like to put something together to gain a little marketing benefit as well. Or perhaps your chapter would like to show North America something special about your area’s culture. Ready to help? All you need to do is bring your silent auction donation with you to the conference! But if you want to let us drum up more support and interest, please allow us to give you a shout-out of thanks on our social media! Email a fun photo, info about what you’ll be donating, your social media tags and company logo to Anneliese Apel and we’ll be sure to give you our appreciation! Thank you so much for your help, we need all of it we can get and truly hope you will bring something to contribute! Have you ever wondered what goes into a Conference Program or how sessions are selected? Do you want to help select conference session speakers and poster exhibitors? If the answer is yes to these questions then consider volunteering for the Program Committee (click here to learn more about what is required). While our world does not revolve around money it sure helps. The Sponsorship Committee plays a very important role in ensuring that IAP2 USA continues to receive funds – not only to support the Conference but events and activities all year long. Raising money is not for the faint of heart – are you up for the challenge? Click here for more information on the responsibilities of this Committee. If this is you then please consider volunteering for the Local Fun Committee. This committee helps to showcase Denver, make decisions on the opening reception, tours and so much more. We are expecting 350 people to attend the Denver Conference and this is your opportunity to show it off! Click here for more information. I WANT TO VOLUNTEER – We are looking forward to you joining us. 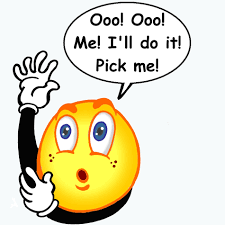 Please contact Jennifer at info@iap2usa.org with the subject line – Conference Volunteer by January 10th – we need your name, contact information and which committee you want to join. THANK-YOU! Why should we care about P2? What are the advantages of P2? Is there a relationship between P2 and better urban planning, environment, health, sustainability? Can we get more people to care? Do elected officials care? Engineers? Citizens? Urban planners? What makes meaningful engagement? How do we get more people to care about creating an engaged civil society? What if we stopped caring? What added value does P2 contribute to our societies? Do practitioners have a responsibility to the public? How do we deal with ethical dilemmas? We’re looking for people to deliver sessions that will address these questions. Are you one of those people? There will be 21 sessions over the two-day Conference, running 60, 75 or 90 minutes in length. There will also be poster sessions, where practitioners can interact directly with Conference-goers, using a single poster to describe the challenges, victories and lessons-learned in one of their projects. No time to lose: the deadline to apply is March 1, 2016. Read more information here and download the submission form here. Who cares about public participation? Update 07/02: We’re extending the community feedback phase through Friday, July 5. Keep the votes and comments coming. Thanks! The International Association for Public Participation-USA is planning for a North American conference to be held in Salt Lake City, Utah September 22-24, 2013. We would love your help in selecting sessions for inclusion in the conference program. We invited proposals for two types of sessions – concurrent sessions that will vary from 60 minutes to 2 ½ hours in length and plenary sessions no longer than 18 minutes each (we are calling them IAP2 Talks). We are so pleased that we received 39 concurrent session proposals and 14 IAP2 Talks proposals. When you look at the entire body, you will find an amazing range and diversity of possible sessions! The mechanics of this crowd sourcing exercise are as follows. We are asking the question – would you like IAP2 USA to include this session on the conference program? You are invited to “vote” for any and all sessions that you would like to see us include in the conference program. You are also invited to provide comments on the proposals. Don’t wait! This opportunity is available now through July 2nd. The Conference Program Committee will look at the number of votes each proposal receives, as well as the comments submitted, and make the effort to include as many sessions as we can in the conference program. Click here for the concurrent session proposals. And to access the link for the IAP2 Talks proposals, click here. We want to hear from anyone who might consider attending this conference. Please forward this email to anyone and everyone you know who might be interested. Literally, the more the merrier! What is IAP2 USA? IAP2 USA advances public participation in the United States by providing its affiliate members with tools and information to conduct high-quality public participation processes, by providing government, industry, nonprofit organizations and participants with educational resources to increase the quality and value of their participation in such processes, and by advocating for quality public participation programs based on our Core Values and Code of Ethics. Learn more at http://iap2usa.org. And with that, let the croudsourcing begin! 2013 Conference: Deadline for Call for Proposals Extended through May 29! The deadline has just been extended through May 29, 2013! Two more weeks to a) download the instructions and b) send your submissions to proposals@iap2usa.org. We look forward to (yet more) of your brilliant ideas! In partnership, IAP2 USA and IAP2 Canada are excited to announce the opportunity to present at the 2013 North American Conference. We invite you to submit proposals for two different kinds of sessions consistent with the conference theme. We are currently accepting proposals for concurrent sessions and IAP2 Talks. The calls for additional opportunities in programming including field trips, technology fair, and pre-conference training will be announced in May. Proposals are due May 15, 2013. Welcome to the 2012 North American IAP2 Conference! We are extremely excited to be working with our partner organization IAP2 USA to bring you this event and hope you can join us September 30 – October 2, 2012 in beautiful Halifax, Nova Scotia, Canada. You’re Invited!! P2 field. Our team was inspired by the idea of P2 equally involving the head, heart and hands and through our conference themes hope to explore how each of these play an integral role in expansion and growth of public participation. We aim to involve researchers, stakeholders, academics, community members, decision-makers, practitioners and others to build together a diverse audience thereby truly getting a 360 perspective. Conference session proposals must support or align with one of the sub-themes. The key focus questions are not meant to limit but rather used as a launch point and touchstone. What have you learned, discovered, proven or identified from your research, study of the field or experience, which will advance the growth and practice of public participation. This is all about the thinking…..
What is at the heart of public participation? We think it might lie in the values, ethics, and feelings associated with P2. What is it that motivates, influences or provokes involvement or lack thereof in public participation? This is all about the feeling…..
What tools, activities, techniques are defining the cutting edge of public participation? How do you find the balance between the tried & tested and the innovative & creative? This is all about action…..
For more information please download the full Call for Proposals and proposal template.